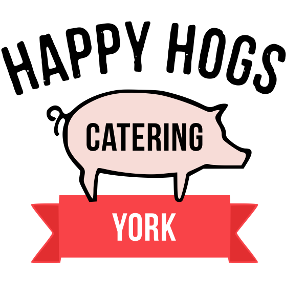 Spit Roasts from Happy Hogs Catering York are the ideal catering solution for your York event. Whether you need Wedding caterers, birthday catering or other party food – we are the very best York caterers and provide an unrivalled service throughout Yorkshire. We only use free range York locally sourced meat for all Spit Roasts served, they’re carved directly from the spit to your guests enabling onlookers to enjoy the sights and smells of the delicious flavours right before their eyes. When service is over the Spit Roast catering team will start collection to retrieve all the rubbish which we’ll take away with us, leaving the hosts and the guests completely free to enjoy themselves. 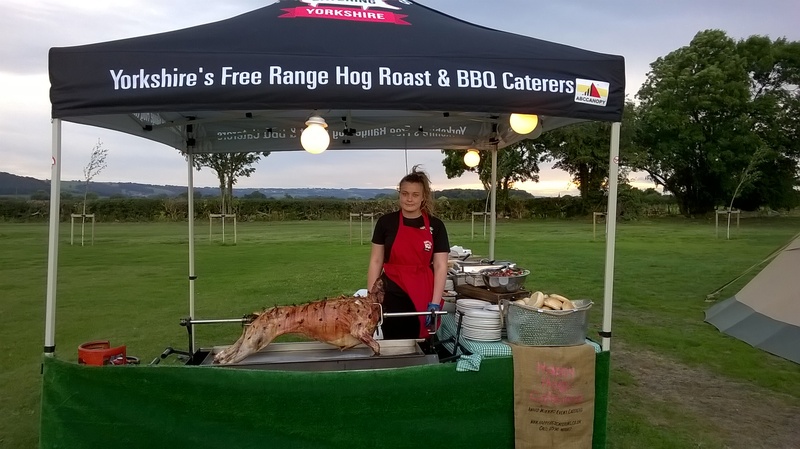 The York Spit Roast hire package includes a hog roast chef in full uniform with assistant to help carve and cook for the party guests at the required serving time, a small catering marquee 3×3 metres, dinner tables with linen, fresh bread trays, cardboard plates with napkins, and a full cleaning service after the food has been enjoyed. Contact us to discuss pricing and availability. Competitive prices on spit roast hire menus and packages. Available across the York and Yorkshire area.